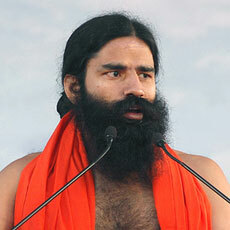 Baba Ramdev's Hunger-strike Expenditures: Rs 18 Crore ! Baba Ramdev's Hunger-strike venue will also have 780 fans and 100 coolers. Seven large screen television sets, 100 CCTV cameras and low-noise sound systems will also be installed at the hunger strike venue. The hunger strike venue ground will also have air-conditioned intensive care units for emergencies.